SCENTIFIC - let your ad make scents! your advertising is guaranteed not to be a normal, smelly matter. And just in case you cannot come to a decision from among our large range - just select several. 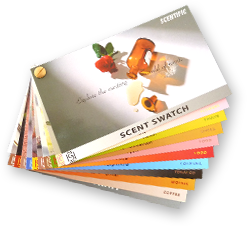 Please feel free to order your personal scent swatch now here.